The room is dark albeit a single circle of light illuminating a handsome comic and solitary microphone stand positioned in front of an audience. There are perhaps 15 people nestled side-by-side in the crowded space, yet each one is laughing as the comedian allows his well-timed jokes to roll off his lips and ignite the room in streaks of laughter. Through a serendipitous encounter, I have found myself pulled into the comedic underbelly of the Concrete Jungle where laughter, wit and and a sense of humor reign supreme. My tour guide of this foreign land is local Astoria comedian, Jeff Cerulli, who hosts a monthly comedy show in Astoria along with comic, Joe Gerics, and hosts his own show in the East Village, Industry Night. 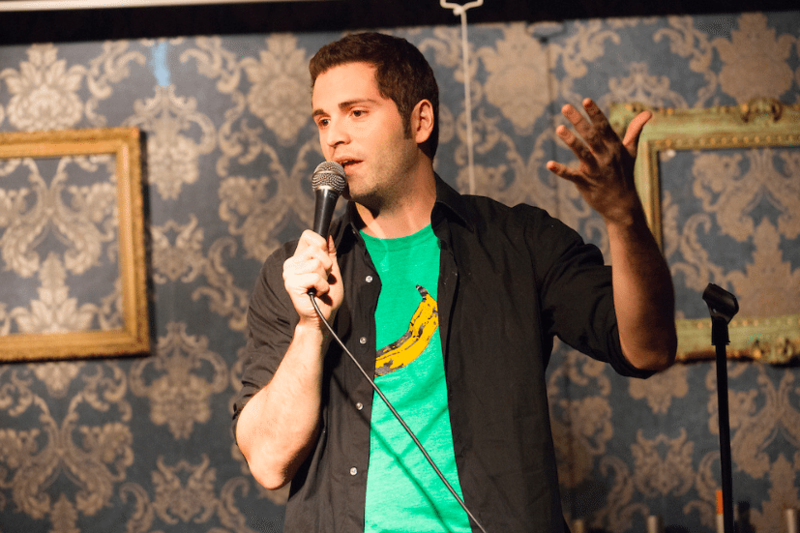 Cerulli performs weekly, has been on MTV and has done stand up in London, Los Angeles and the Laughing Skull Festival in Atlanta. It would seem Cerulli’s humor is outshone only by the film work of his and his co-creator/fellow successful comedian, Barry Rothbart, in creating the documentary, Hungry, which explores the world of competitive eating. As I watch Cerulli take the stage at another weekly show, I can’t help but imagine myself attempting to appease the humor of strangers. As someone that is more than willing to push my words into the limelight while I lurk in the shadows, I imagine tumbleweeds and the sound of crickets greeting my every joke and give thanks that this is not my show. I am a face in the crowd as my comedic guide regales the guests with delightfully awkward moments of his childhood, the struggle of getting re-tweets on Twitter and relationship stories about cat-obsessed ex-girlfriends. New York is a city known for many things: a delectable food scene, fast-moving career lane, exorbitant rent prices and untapped comedic talent. The Big Apple has seen the likes of great comics who have gone on to set the standard with shows like The Daily Show, Colbert Report, Seinfeld and SNL. The historic comedy district of Manhattan’s Greenwich Village revitalized stand-up comedy with the likes of Lenny Bruce, Woody Allen, Joan Rivers and Richard Pryor who frequented neighborhood comedy clubs and shared hilarious anecdotes with anyone who cared to listen. While most New York tourists will flock to the headliner comedy clubs, such as Caroline’s and the Comedy Cellar (which have seen the likes of Jim Gaffigan and Chris Rock); the rising talent of New York’s comedy scene is best found at in-the-know shows held throughout the city in unassuming bars and restaurants. Much how fantastic musicians can often be found at the back of a dive bar, so too are comedians discovered without the pomp and circumstance of over-priced tickets and crowds. Of course, as is always the case in the Empire State, what is undiscovered today is front page news tomorrow so it is only expected that the comedians I see standing before me now, may one day require more than a $7 beer to watch–and so I lean back and soak in every minute of tonight’s performance. Unbeknownst to many, (free!) comedy shows are taking place every night in New York at bars and restaurants all around the five boroughs. It seems that to find one show is to find them all as this underground world of comedy is interconnected. The comedians and show bookers dance around each other–swapping tips on which coveted shows to book and ramblings on what other comics are up to. 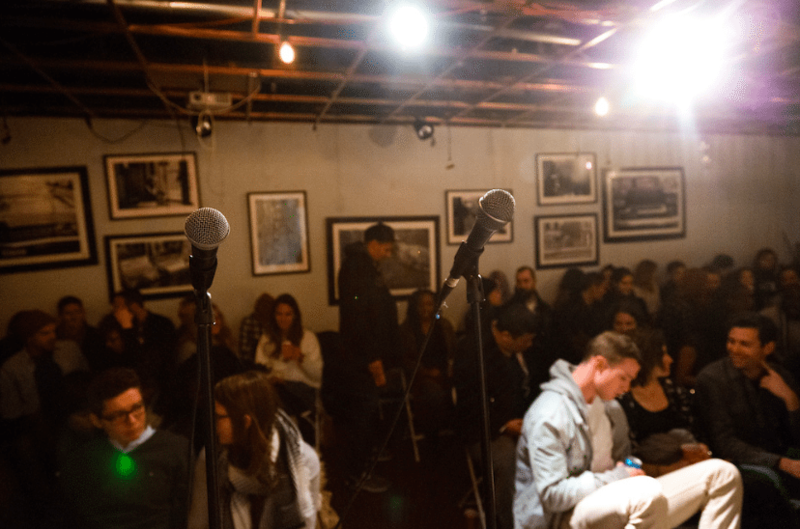 To name a few; some of the best comedy shows in the city to check out include “Gandhi, Is that You?” run by comedy duo Lance Weiss and Brandon Fitzgibbons and House Party in Brooklyn, run by Lukas Kaiser and Hoff Matthews. No reservations, no tickets, no wrap-around lines–you need only show up with a sense of humor. As host and organizer of this evening’s comedy show, Cerulli takes the stage and invites the other talented comedians of the night to take a final bow. 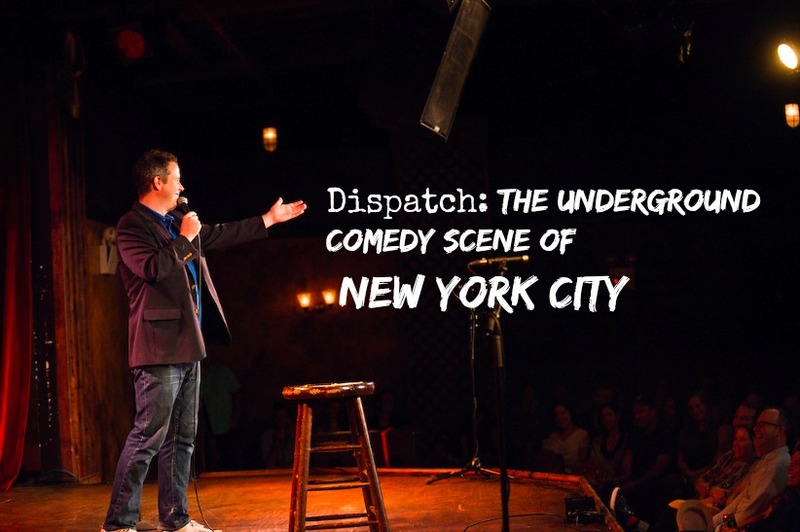 After a day that has included rushed deadlines, packed subway rides and frigid temperatures; the lightheartedness of the room could not be more welcome as this group of rising jokesters offer this city the comedic relief it so desperately needs. 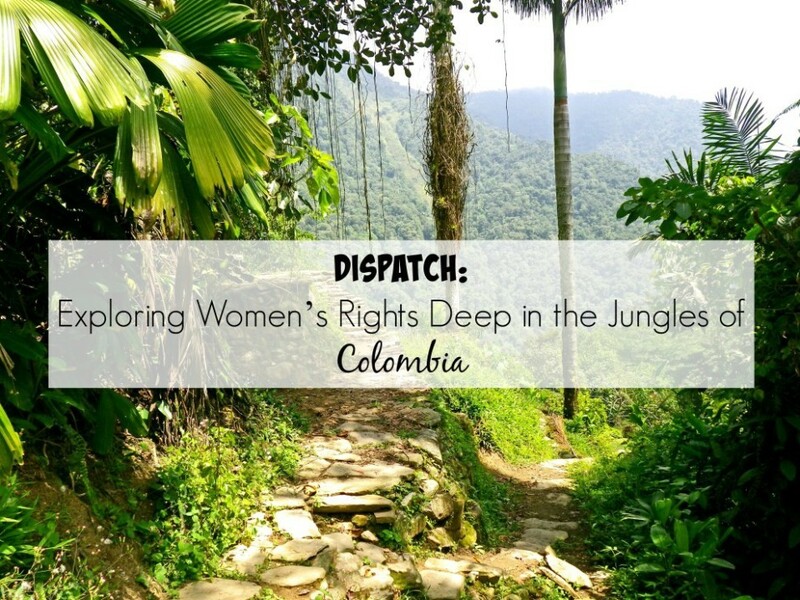 Check out the newly launched DISPATCH section for more stories from around the world and make sure to share your comments, thoughts and questions below!